Apple Retail Store at Carnegie Library of Washington D.C. The project will rehabilitate and modernize the Carnegie Library building to become a retail and education facility. 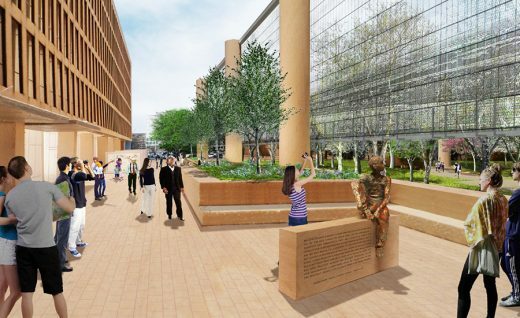 The building will be leased jointly by the Historical Society of Washington, D.C. (HSW) which will continue to operate its research library, exhibit galleries, and administrative offices there, and a retail tenant which will operate a retail, events, and educational facility in the building. 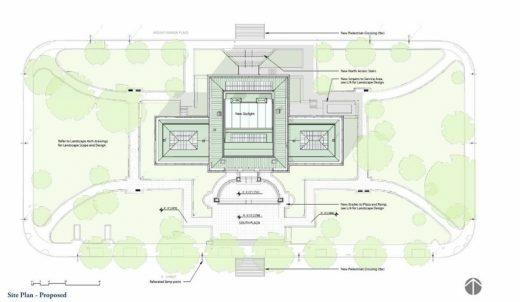 Events D.C., the official convention and sports authority for the District of Columbia announced that its board of directors had come to an agreement on July 27th with Apple for the Carnegie Library retail location and will execute the lease. 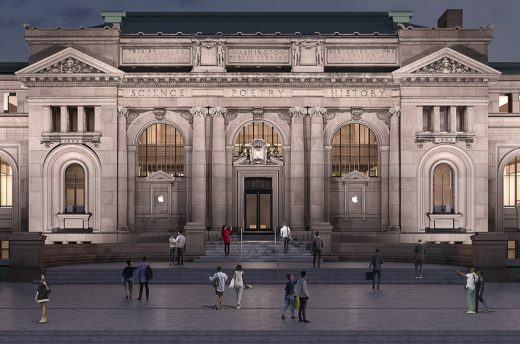 The terms of the lease give Apple a 19,000-sqft section of the Carnegie Library. The lease runs for 10 years and there are two five-year options. The Historical Society will also continue to operate its museum and library in the building as per the existing 99-year lease. The project will include a full restoration of the building exterior, including the repair and cleaning of the exterior stone, repair and retrofit of the original wood windows, repair and retrofit of the original skylight frames, and repair of the copper roof cladding. On the north side, the non-original stair and awning will be removed and replaced with a new stair that improves access to the building. Windows on this elevation—modified during the UDC (the University of the District of Columbia) and HSW rehabilitation projects—will be replaced or retrofitted. The interior of the building will be rehabilitated, including removal of non-original infill construction throughout the building dating from the 2003 City Museum rehabilitation. 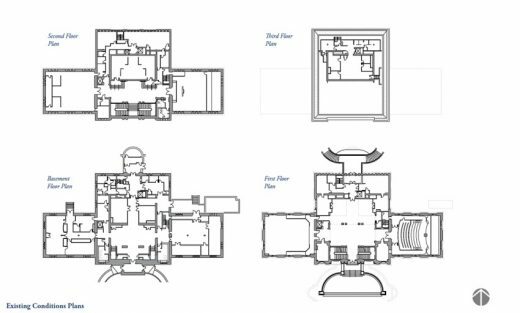 The scope of this project included the enclosure of the central atrium with a museum gallery, offices, and clerestory extension with hipped roof. This addition will be removed, creating a central, skylit atrium space: the large glass skylight above is the key feature of the whole scheme. 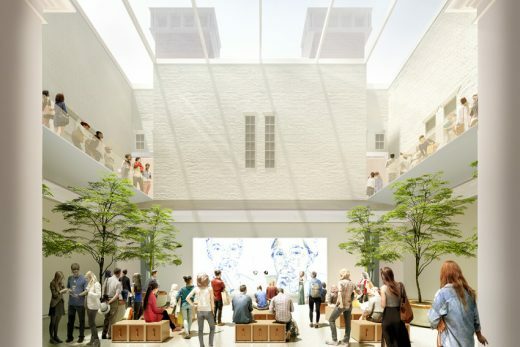 The new atrium will be enclosed with a flat skylight, positioned below the existing roof line to obscure its visibility from the surrounding streetscape. Additionally, the MEP and other systems throughout the building will be upgraded or replaced. Although the project is generally limited to the building itself, minor alterations may be made to site hardscape elements to comply with accessibility and other code requirements. 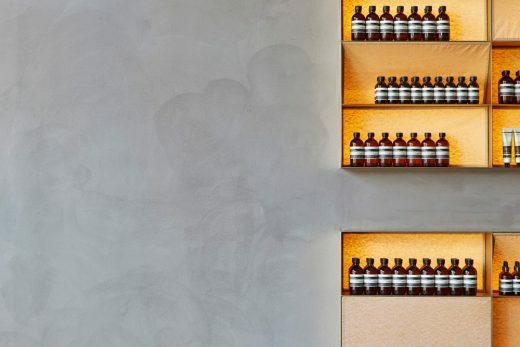 Aesop Shaw Store, Washington, D.C.
National Aesop Shaw Store, Washington, D.C.
Website: Carnegie Library of Washington D.C.